Heat 10 ml halaal gelatine in half cup (125ml) water in the microwave. Stir until all gelatine is dissolved or if required, microwave more. Set aside to cool off. Whip 250 ml fresh cream until stiff and add together with the smooth caramel. Mix well with hand beater. In a square pyrex dish, layer the bottom with tennis biscuits and sprinkle a teaspoon of cold milk over each biscuit. Spoon ½ of the cream mixture over biscuits. Add another layer biscuits, and again add milk over each biscuit. 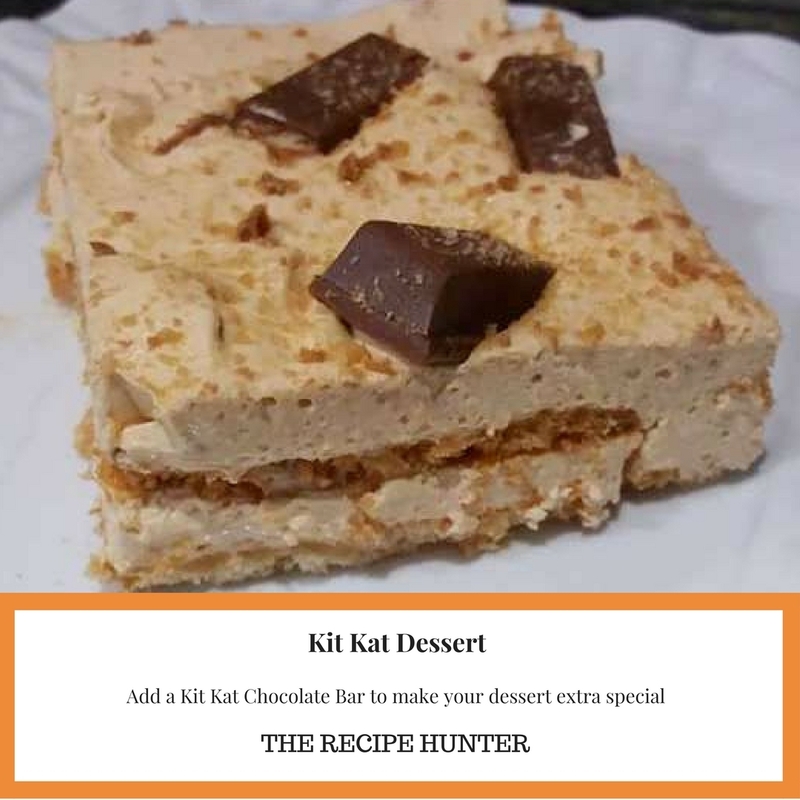 Add cut kit kat chocolate pieces over dessert and grate a biscuit over it. Put in the fridge until set.